Posted: Thursday, December 22, 2016. 10:57 am CST. 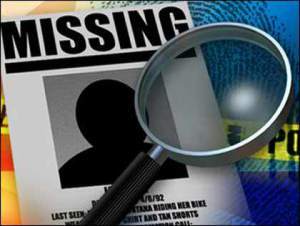 By BBN Staff: According to police reports, on Monday, Eric Moreira of #10 Orquidia Street Las Flores area Belmopan reported that on Saturday, his uncle, 36-year-old Emilio Lopez, Salvadoran of Springfield Community on the Hummingbird Highway went missing. Lopez was last seen on Saturday evening around 5:30 p.m. wearing a white, short sleeved shirt, black long pants and black tennis shoes. Lopez is of Hispanic decent standing about 5 feet 4 inches in height and weighs about 150 lbs and has short hair.